Tech Talks Central (TTC) broadcasts over the web covering all the hot topics and trends in the connected world and features interactive interviews with thought leaders, as well as movers and shakers of the tech industry. It disseminates information from inside technology events to its community of listeners, beyond borders. TTC brings together tech entrepreneurs and broadcasting specialists who share a love for technology, innovation and science. The team combines an extraordinary skill-set including entrepreneurship, IT, marketing, graphics, journalism, statistical analysis, social media and broadcasting. Dissemination for Awareness, for Understanding and for Action are crucial to the success of projects, events and clients. TTC’s strongest dissemination tool is the interviews it conducts with movers and shakers, from inside tech events, broadcasting live to its community of listeners from all over the world. With a reach of over 70 countries and an average listening time of 16 minutes per session, TTC interviews fuel the interest of an international audience, while remaining accessible, as podcasts, for a long time afterwards. Accompanied by a strong social media team it delivers ideas, statements and concepts fast and with an impact. We are technology geeks who love talking about it over the radio waves! 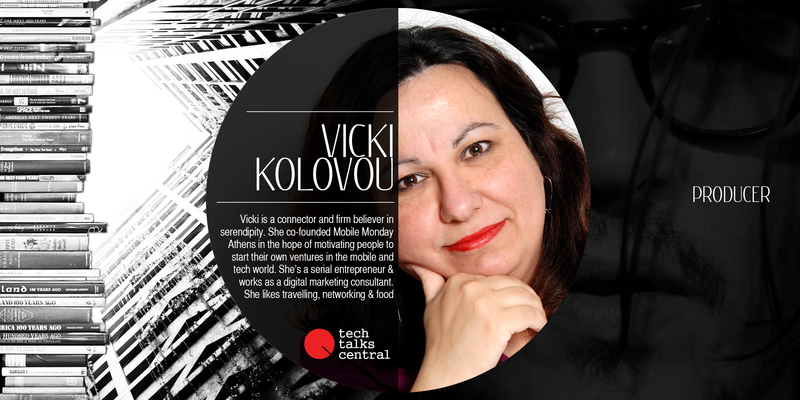 Vicki is Director for Tech Talks Central Ltd. and Producer. She’s responsible for the program and regularly hosts interviews with technology and eHealth actors. She’s a connector and firm believer in serendipity. 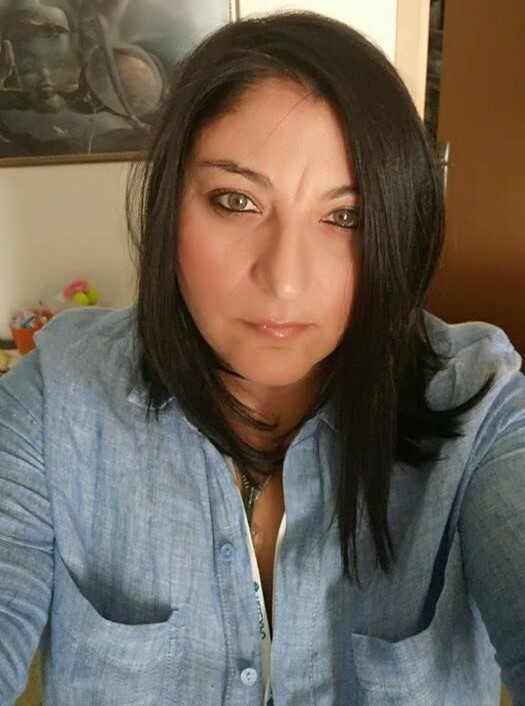 She has been a helping member for Girl Geek Dinners, co-organised MediaCamp and founded Startegy and Mobile Monday Athens in the hope of motivating people to start their own ventures in the mobile and tech world. She’s a serial entrepreneur and has worked as a digital marketing consultant. As a true mobile advocate, Twitter and Flipboard are the apps she uses the most. She likes to travel a lot, network with exciting people and discover amazing tastes! 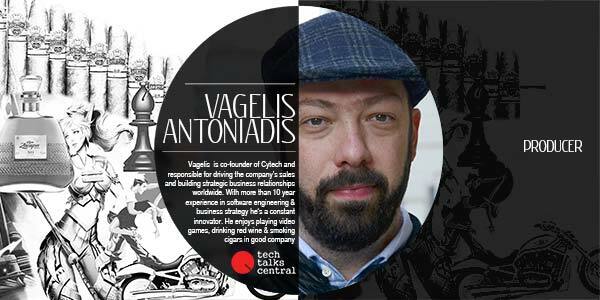 Vagelis Antoniadis is Director for Tech Talks Central Ltd and Producer. He’s responsible for operations. He is also co-founder of Cytech Ltd. and is responsible for driving the company’s sales and building strategic business relationships worldwide. He has more than 10 years experience in software engineering, business strategy and solution design. Vagelis is a constant innovator, he applies new technologies in the mobile field and turns them into successful products. He enjoys playing video games, drinking red wine and smoking cigars, all of them with good company. Tina is a Technology Marketing Executive with extensive experience working in Silicon Valley. She currently works as a consultant where she helps companies with their marketing strategy and execution. Most recently she was Director of Corporate Marketing at Keynote Systems, the global leader in Internet and mobile cloud testing and monitoring, where she oversaw Keynote’s marketing initiatives worldwide and managed a global team of marketing professionals. Tina holds an MBA from University of San Francisco. 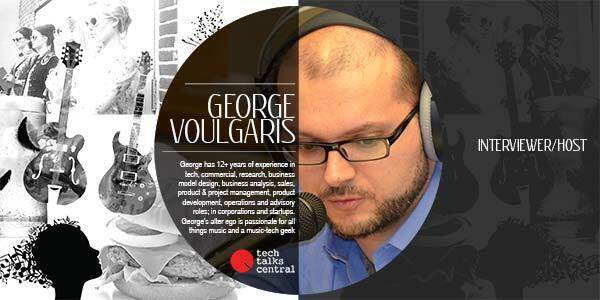 Yannis is a Host for Tech Talks Central. He studied Electronics, yet even as a student he started working in the Media sector. 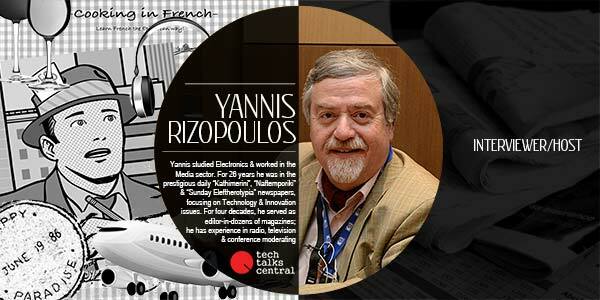 He worked for 26 years in the prestigious daily “Kathimerini” first as a member, then as the head of Foreign Desk, as well as in “Naftemporiki” & “Sunday Eleftherotypia” newspapers, focusing on Technology and Innovation issues. For four decades, he has served as editor-in-chief or member of the staff in dozens of magazines on a wide area of subjects, he has many years of radio and television experience and he has served as moderator in numerous conferences and congresses. For more than six years, he was the editor of the specialized section “Technologein” at portal “Pathfinder”, where he produced more than 110 multimedia presentations on innovative tech apps and best practices. Nowadays he contributes to digi1 portal and to Smart Press events. Nick is the Broadcasting Host for Tech Talks Central, guiding the interviewees through their experience and making sure everything goes live seamlessly. He initially studied graphic design but the magic of radio broadcasting won him over. He’s been in the field of radio broadcasting since the late 90s and during the last years has been more active with Internet Radio. George is Host at Tech Talks Central, with a significant number of technology and business interviews, already under his belt. He has 12+ years of experience in tech, commercial, research, business model design, business analysis, sales, product & project management, product development, operations and advisory roles; in corporations and startups. He is currently helping companies design their customer engagement & growth strategies. George’s alter ego is passionate for all things music and a music-tech geek. Zafeiria was born and raised in Sparta, Greece. She is a statistician & social media enthusiast with a passion for tech, social innovation, big data & mhealth. She is very interested in the impact that new technologies & social media can have on society and how data can make the earth a better place to live! Her motto is “Live, Feel, Create & Learn through Data”. 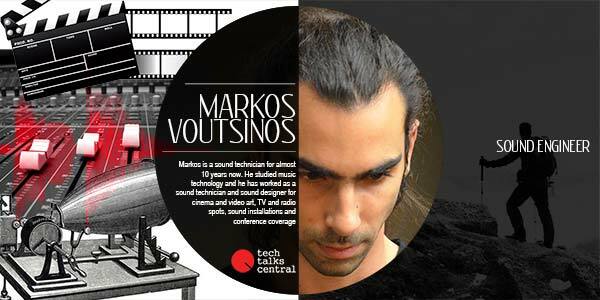 Markos is the Tech Talks Central Sound Engineer. As a sound technician his experience spans over 10 years. He’s studied music technology and has worked as a sound technician and sound designer in cinema and video art, TV and radio spots, sound installations and conferences. 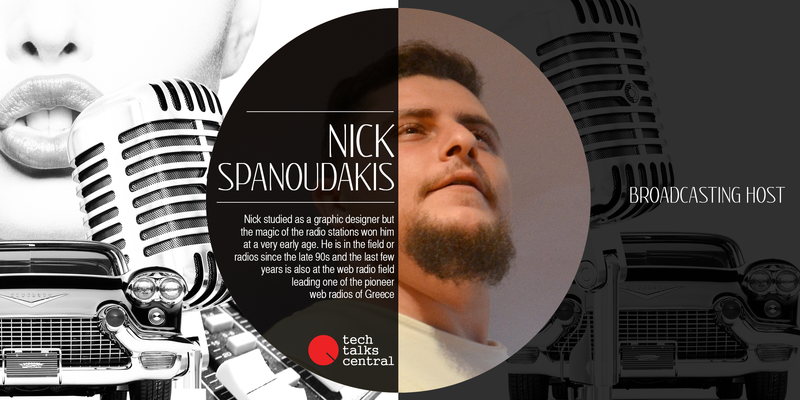 Sakis is Host for Tech Talks Central and Social Media associate. He’s an ambitious entrepreneur and his passion for start-ups, innovation, analytics and social media makes him suitable for interviewing startups and new ventures. He is a proud member of Mobile Monday Athens as he loves meeting new people. He is really sociable and positive-minded. Venetia is a Broadcast Reporter/ Journalist/ Host/ and designated food procurer for Tech Talks Central. She has 20+ years of journalism experience starting as an intern for NBC in New York City during her college years and then working for various media in the United States of America. 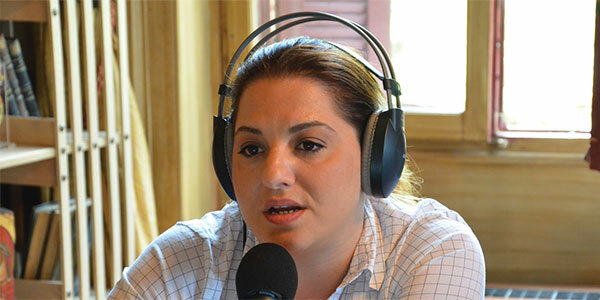 She was part of the team covering the Athens 2004 Olympics as a journalist and editor for Reuters News Agency. Venetia has also had a brief stint as a Mac+ tech support advisor for Apple Inc. She loves inventions, technology and is convinced she will spend her retirement years aboard the Federation Starship Enterprise. Or Deep Space 9. We appreciate new ideas and concepts in technology, mobile, health and Internet of Things that change our lives. We support inspirational entrepreneurs & teams that have a passion to make the world a better place. 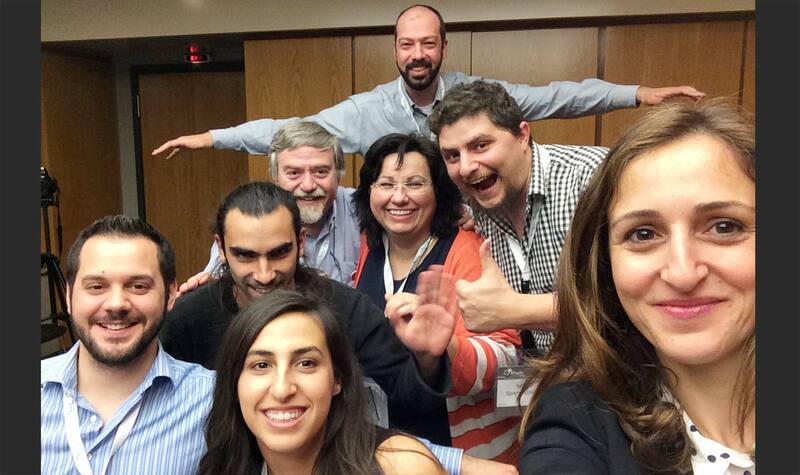 We aspire to create a strong community of technology aficionados who love inside information. We are passionate about rubbing elbows with like minded people. Come on in and tell us your story.